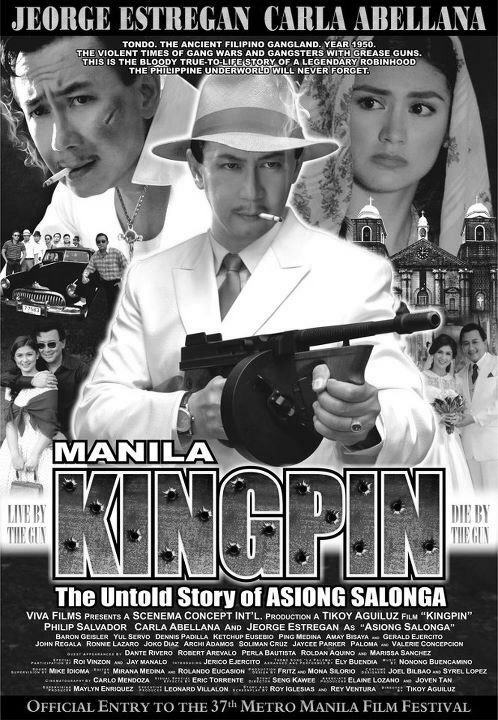 I wanted to write an intelligible review of Manila Kingpin: Asiong Salonga. I really did. It’s the first film that I watched in 2012. 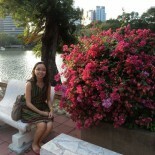 But, I had a cold that day. So I took some cold medicine. I’ve watched movies while sick before. I was also accompanied by a friend, he was actually the one who took me to the movie in the first place. So, after some soup and stuff, we went to this nice theatre at EDSA Shangri-la Mall. I was actually excited. I never thought I would write about it, but I decided to write about the films that I have seen this year, all of it. For some reason, I really want to do that. Whether I keep at it is still a matter to see. But as of now, it’s what I will try. Though of course, I’d try to avoid watching movies while sick. Aside from wasting money, it’s embarrassing to my companion (if I am with one) and very much unsafe if I am alone (which I usually do half the time). What do I remember of Asiong Salonga then? Using the monochromatic scheme is an interesting concept, but I feel that it’s unnecessary for the entire film. I never really got to decide. But it does add to the spaghetti-western effect. The problem is that spaghetti-western is not a very good genre. I guess, at least there is an attempt to something different, which is a rare event in itself in Philippine cinema. That is a good sign. Did they manage to contemporanize the spaghetti-western? From what I’ve seen, no, not really. The emotions felt too contrived and stiff. Historically, Philippine action films are like that. I haven’t seen the Estrada and Fernandez incarnations yet, but from what I have experienced in the action genre, they are generally stiff with the obvious attempt at “Masculinity”. I wish they managed to let go though, get some real emotions in there. Maybe Baron Geisler as Asiong Salonga would’ve been a better choice. (I’ve read that online somewhere.) Geisler may be a controversial actor, but his acting skills does the job effectively. It may have given some passion and emotion to Asiong. As for the women here, I’d rather not get into that. They played the stereotype. Part of the failure to contemporanize the genre is that they never got out of the early trappings of it. This may have been a weak attempt to bring back the action film, but at least its a start. Action films may still have a place in the contemporary world, but filmmakers need to have a consciousness to make it contemporary. They should escape the limitations and trappings of the genre to make it a critical part of contemporary film-making. It’s pointless to just go back to the genre without contaporanizing it, it fell into obscurity because of its limitations in the first place. If action is to take center stage again, they need to do something different. Reading Youtube comments on the trailer is enlightening, amidst all the pointlessness. Yes, there may be a danger to the glorification of the world of crime and criminals, but as long as we can teach our society what is real and not, then there isn’t much problem. The problem is the quality of story-telling in cinema. I know, I know, I only managed to stay awake in the beginning and end, but isn’t it supposed to be the best part anyway? I was awake for the climax at least. Should the action genre be revived in Philippine cinema? Definitely. Should they follow the path of earlier action films? NO. Our film makers need to do something to make it part of our film-watching lives once again, not as a nostalgic nod to the glory of the past. (While they’re at it, they should also avoid the controversies such as the ones surrounding this film. Really, they couldn’t be any more ridiculous than that.) Maturity, perhaps is key to bringing back the action. I look forward to that. I won’t fall asleep next time, I promise. This entry was posted on March 11, 2012 by Portia Placino in Movie Review and tagged Action, Action film, Asiong Salonga, Baron Geisler, Film, Filmmaking, Manila, Manila Kingpin, Metro Manila Film Festival, Philippine Cinema.